In Aubrey Hirsch’s debut collection, a central idea around which her stories revolve is the advice we follow and the advice we ignore. Her characters are often desperate: stranded or caught in soul-crushing situations, bewildered by mysterious happenings, and/or overwhelmed by tragedy. People who need help coping with the chaos of life. In other words, us. 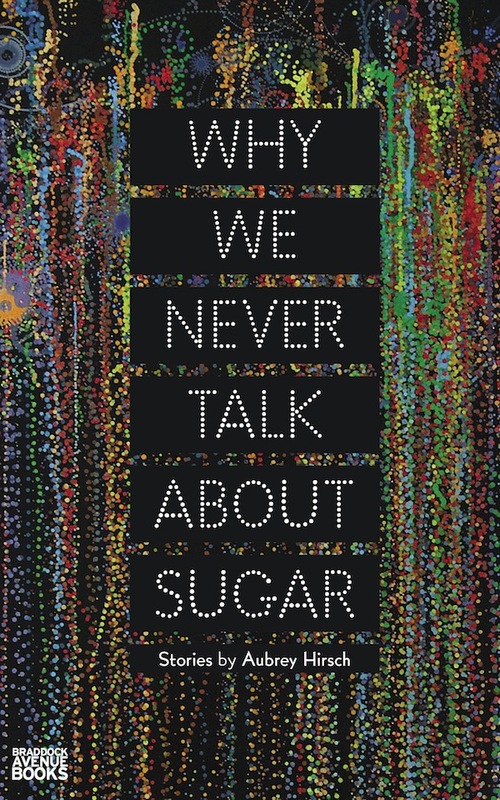 Why We Never Talk About Sugar is a remarkably powerful book overall because Hirsch never allows her formal inventiveness to devolve into a gimmick. Her prose is usually spare and decidedly flat. Over the course of the stories, a sense of dread accrues. Readers grow suspicious of characters’ good intentions and their desire to do the right thing because these motives are answered with yet more pain, yet more crushing sense of obligation. This is especially true of “Strategy #13: Journal” and “No System for Blindness,” which are about a young person caring for a seriously ill parent. These stories owe a debt to Amy Hempel’s masterpiece “In the Cemetery Where Al Jolson Is Buried” in that they deal with the same morbid power a terminally ill loved one can have over us. One thing that occasionally diminishes the emotional heft is Hirsch’s habit of showing characters bursting into tears. Though Hirsch (and any writer for that matter) should not be obligated to adhere to the adage “If a character cries, the reader never will,” in a couple instances she may try too hard to make the reader feel sad. 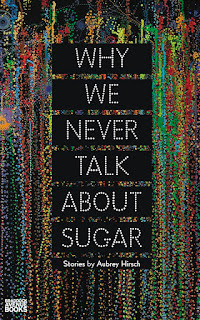 Purchase Why We Never Talk About Sugar HERE. Reviewer bio: Alex DeBonis has a PhD in fiction writing and literature from the University of Cincinnati. He currently teaches fiction writing and literature in rural West Tennessee. His work has been a finalist in the 2012 Esquire Short-short Fiction Contest and a semifinalist in 2012 Crazyhorse Fiction Contest. His story “Shout at the Devil, Bark at the Moon” will appear in The Man Date: Fifteen Bromancesout in 2013. He lives with his wife and son in Paris, TN.